I took a deep breath and explained to them the importance of play at this age, how valuable it is to children and the many areas it can help to develop. I could go on and on but I will try in this post to just focus on role play. 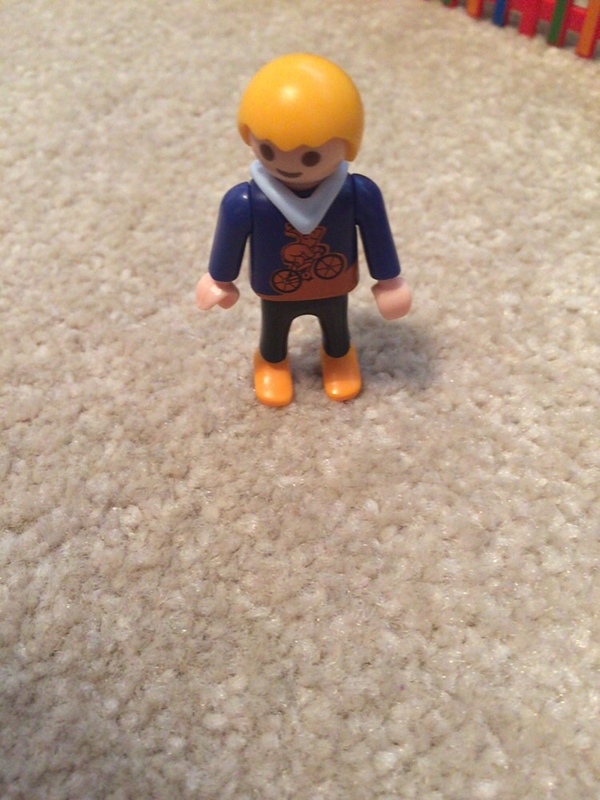 This came up at home today, because Seb recently got some Playmobile for his 2nd birthday, which he absolutely loves. He has named one Seb, one Mummy (the pregnant one... clever boy ;-) and one Daddy. He put them all in the car today, all that is except Mummy who was put on the doormat. Now, if you have read some of my other posts, you will know that this is our time out spot. 'Hitting,' was the response. He then walked into the lounge and shut the door to the hall, as we would do when he has time out. I asked him who mummy hit to which he replied 'Daddy.' Daddy and I had a little giggle at this, whilst also secretly hoping that this wasn't a conversation that went on outside the house and just for the record... Mr. NQP and I do not hit each other (or anyone for that matter)! 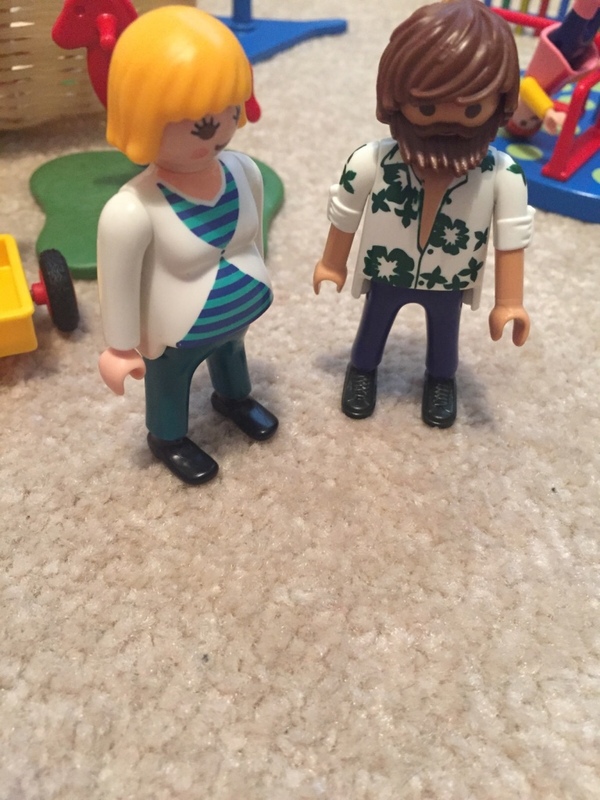 We then discussed with Seb what should happen next and concluded that Playmobile Mummy needed to say sorry to Playmobile Daddy because hitting is unkind and then it would be time to move on and they can go on their trip in the car (which was the original plan!) 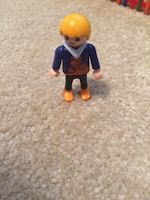 Seb diligently went and spoke to Playmobile Mummy and she said sorry to Daddy and got in the car. It was brilliant to watch, as Seb has recently (since he got the memo about being two and therefore terrible) been hitting a lot. People, toys, books, chairs, anything that frustrates him. On this particular day he had been to the doormat twice for hitting, so to see him role play it out, with him being on the other side of the battle was really interesting and hopefully a development in his understanding of hitting. Watch this space. Indulge your children's role play, it is an amazing insight into how they perceived a situation and also how they may resolve one. Don't be concerned when they take examples to the extreme. This is really normal and is usually just children flexing their imagination. Provide role play opportunities. 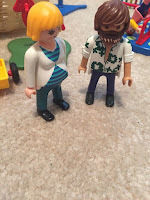 Toy people of some sort or dressing up make a great addition to any set of children's toys. We chose Playmobile because it is something that can be added to over many birthdays and Christmases and has many different settings (i.e. home, hotel, pirate ship, playground etc!) and can be played with for many many years to come! Don't forget you can comment below if you would like to know more or if you have any other links which might be useful!